Designed for Microsoft Windows 10, Windows 8.1, Windows 8, Windows 7, Windows Server 2016, Windows Server 2012, Windows Server 2008, Windows Server 2003 R2, Windows Server 2003, Windows Vista, Windows XP, Windows 2000 Server, and Windows 2000 Workstation. 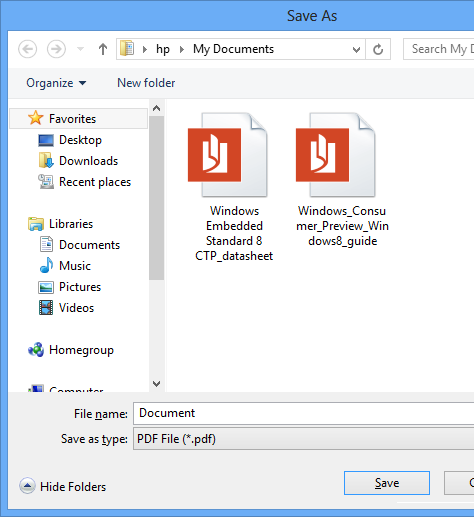 Create full-featured Adobe PDF files by printing from within any Windows application on the client side to the shared PDF printer on the server side. Unlike many similar server-based software, Modern PDF Server intercepts documents extremely fast on their way to the printer, creating a version in Adobe's PDF format instead of spitting out a physical piece of paper. The software installs as a virtual print driver, which means users need only click the print button in any application to create a PDF file. Users can choose the page size and orientation, resolution, and whether a font should be embedded or not. It allows documents to be encrypted, and user permissions to be set. A specific image can be set as a page background to watermark a document. The conversion speed and quality is incredibly high, and generated PDF file is arguably the smallest in the world. With the caveat that there are similar products widely available that offer much the same functionality, we recommend Modern PDF Server software product to you as a high-quality, high-performance, server-based, one-stop solution for deploying PDF creation ability across your organization! As an alternative PDF server solution to Adobe based PDF converter software, Modern PDF Server uses its own PDF driver on the server side rather than Adobe Distiller. Main features include 128-bit RC4 encryption with password and access control; TrueType, OpenType, Type1, CID-Type1, Multiple Masters Type1, OpenType/CFF, pure CFF, CEF Windows FNT/FON, X11 PCF font embedding into PDF files; CIE color space and ICC profile integrated with PDF files; Export PDF to JPEG, BMP, PNG, GIF, TIFF image formats; Restore Microsoft Word document from PDF file; Convert PDF into web pages; Create CMYK PDF; Restrict viewing, printing, editing, or copying of documents to only individuals with the correct master password; Compress PDF to the extreme; Remove hidden sensitive data that would have possibly embedded into PDF; CIE, RGB, sRGB, CMYK Color Space support; Render with ICC profile and specify rendering intent during conversion; text, image, compound with PDF transparency; live URLs; fast Web view; PDF Merge; PDF overlay; PDF stationary; create PDF layers; Append PDF generation result to existing PDF file; add page number to PDF document; Add watermark; Add attachment; define custom paper size; choose orientation, resolution up to 4800 dpi; Scan to PDF; Compliant to the Adobe PDF Specification; full-text searchable; totally vector-based output; Microsoft Windows Terminal Server and Citrix MetaFrame XP / Presentation Server support; Fully compatible with terminal services environment; Serve unlimited concurrent users / clients; Multi-threading rendering; Support Microsoft Point-and-Print Standard; Support Windows 10/8/7/Vista/XP/200 client; Designed for and Certificated for Windows Server 2016, Windows Server 2012, Windows Server 2008, Windows Server 2003/2000; Installable on Windows Vista and Windows XP with reduced performance when served as print server. This new release adds support for Windows Server 2016 and Windows 10 64-bit and 32-bit, leverages the latest PDF server client technology for client computing. Easy maintenance and no client license required. 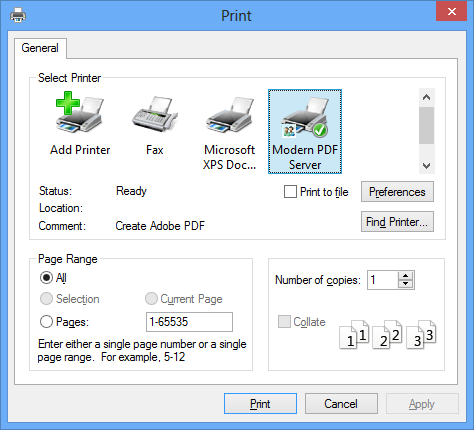 The options for PDF creation are available in the Printing Preferences of the Modern PDF Server printer. 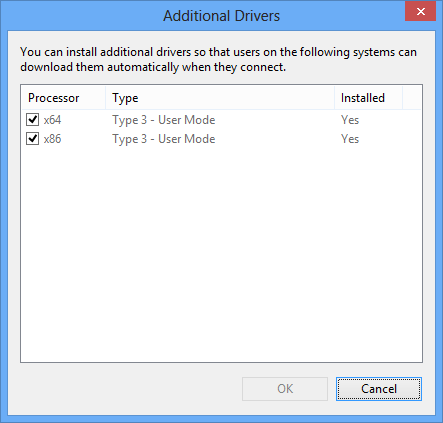 Modern PDF Server installs both 64-bit and 32-bit PDF print driver in the Additional Drivers tab. Therefore, any Windows x86 (32-bit) or Windows x64 (64-bit) client can have immediate access to the Modern PDF Server printer without prompting the client user to install the needed PDF printer driver. Sure. A Client Install tool is included in this Modern PDF Solutions package. With this tool, you can deploy your PDF printer automatically rather than manually to all your clients from your logon script or environment setup script. Modern PDF Server makes the creation of PDF files fairly easy. On the client side, just print any document to the Modern PDF printer as you normally print to an InkJet or LaserJet printer, and you will get the PDF document that you need.